The HVR-M35U supports Sony’s new Native Progressive format recording. The HVR-M35U records and plays back HDV 1080i60, 1080i50, 1080p30, 1080p25, 1080p24, and DV/DVCAM 480i60, 576i50. Like the HVR-M25U, the new HVR-M35U is NTSC / PAL switchable. The HVR-M35U also offers 4CH audio recording and playback, and can record HDV 4CH audio signals from the i.LINK input. Additionally, the HVR-M35U offers an integral monaural speaker for convenient audio monitoring, capable of playing back a mixed audio signal. 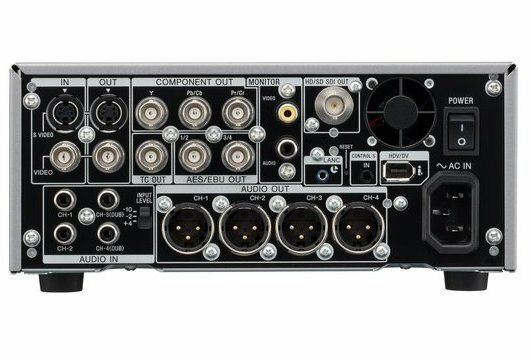 The HVR-M35U also offers various digital interfaces which include i.LINK for DV/DVCAM and HDV I/O, a dual function HD/SD SDI output connector, as well as AES/EBU BNC connectors. TC OUT is also supplied via a BNC connector. 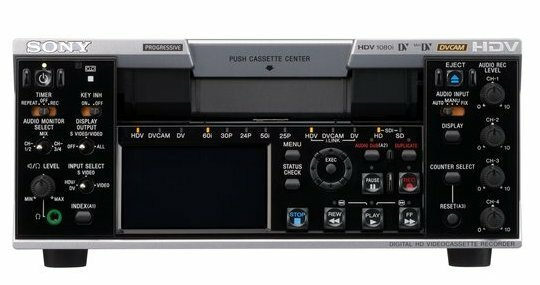 In addition to it’s compact design, other features this new deck shares with the HVR-M25U is a ClearPhoto LCD plus 2.7-inch (viewable area, measured diagonally) 16:9 panel for video monitoring, as well as support of both mini and standard size video tape cassettes. The HVR-M35U also incorporates the Duplicate Plus feature for operational convenience similar to that offered in the HVR-M25U, with the added integration of the new Native Progressive recording formats. Like the HVR-M25U, the new HVR-M35U also offers 1080i to 720p conversion capabilities (through the analog component and SDI outputs only), as well as HD to SD downconversion. Rent the Sony HVR-M35U from Deck Hand Camera Rentals Today!